Are you finding it difficult to choose how you want to present yourself or a family member during graduation. 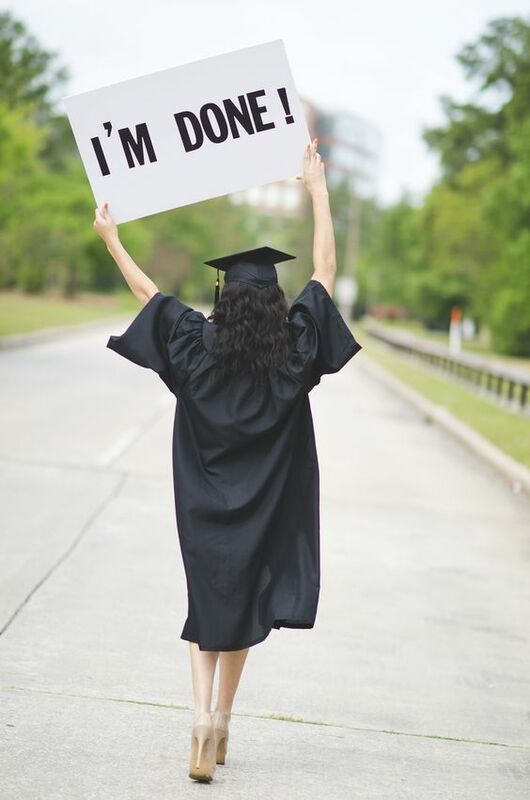 Here are a few great ideas to make your graduation photos just as bright as your post-grad future. Each year at around springtime countless mailboxes and refrigerator doors are filled with announcements of someone’s graduation. Whether it’s for a college, high school, graduation announcements have over the time become vastly popular, and far more elaborate than just a simple invitation delivered in an envelope. With the onset of the digital photography and photo editing the standard of graduation photography have evolved into a slickly-produced glossy photo of the expected graduate along with the relevant details of the event. So how can you make your pictures stand out you ask? Well let’s take a look at some great ideas that will make your friends and family remember your special day for years to come. If you’re about to graduate then I hope you’ve got some plans for the future and what you’ll be doing for your career. Take a photo of yourself in a recognizable location that represents where you’d like to be in the future. It may be at a laboratory, a particular office or even in front of NASA. Did you have a particular hobby or participated in any extracurricular activities at school? If so then you should add it to your graduation picture. Were you a member of a photography club? Then take a picture of yourself holding your camera. Maybe you played tennis or was on the track team. Go with a picture holding your tennis racket or on the track. This will not only show your personality but makes a statement about yourself. Are you someone who enjoys a good joke? If so then you’ll definitely want to highlight this aspect of yourself in your graduation picture. When it comes to taking the best graduation picture you it doesn’t necessarily have to be traditional. Feature a creative thought and let everyone know how much you’ve accomplished it while maintaining a great sense of humor. Do you believe you have to wear the perfect outfit for every situation. If yes than you’ll definitely want to look your best when taking your graduation photos. Wearing a tux will certainly make you stand out from everyone else and make a statement. Pair your tux with an elaborate backdrop, and you’ll capture an impressive graduation photo that will be unforgettable to everyone who sees it. Do you plan to move somewhere special after you graduate or went to school in an area where there are noticeable landmarks? If so then take a photo in front of that place to let everyone know where you’re from and where you’re headed. 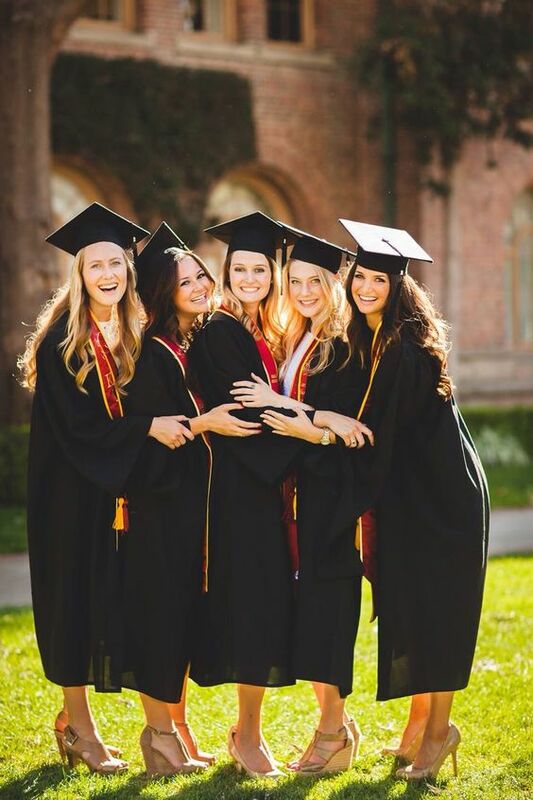 Regardless of you graduating on your own efforts, try taking some pictures with your friends especially if you were a part of a group.This makes a great graduation photo and will create some wonderful memories of your time at school. 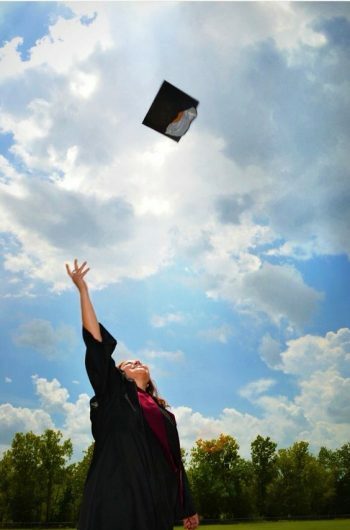 Undoubtedly this may seem painfully obvious but sometimes the best graduation photo is the one with nothing else in it. Smile, look confident and take the photo putting your face forward and in a neutral pose. You should wear something formal and use a plain white or dark backdrop. © 2019 by Photo Ideas.